Whenever you car is on the road, it is using its steering and suspension system actively. Running over pot holes and every bump on the road will cause further damage to these components. 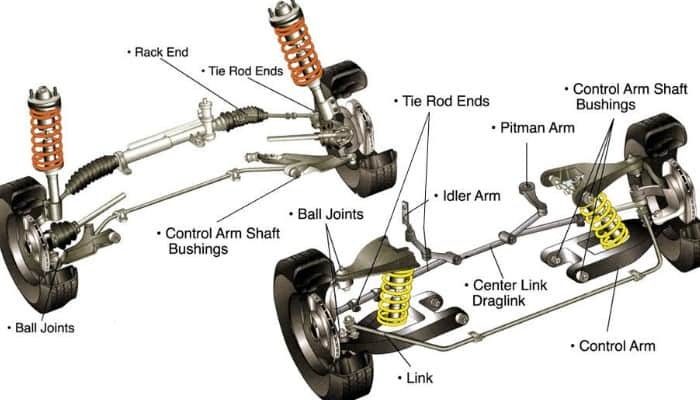 The steering and suspension on a vehicle consists of multiple components including tie rods, rack and pinion, linkages, ball joints, and many more. These components are on constant strain while the vehicle is on the road and over time these components do develop imperfections. If these components are not repaired in a timely fashion, they can leave you stranded on the road or cause an accident. If you feel as if these components may require attention, see us at CarNation in order to get a free diagnosis and estimate.